born from the slopes of titus mountain. 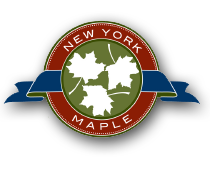 Moon Valley Maple was born on the slopes of Titus Mountain Family Ski Center during the 2012-2013 ski season. The foundation for the sugarhouse was poured in January and by March we were producing high-quality maple syrup! We use state-of-the-art processes from beginning to end to ensure both the quality & consistency of our product. Our sugarbush is blessed with pure mountain air, well-drained soil and a gradient that is ideal to support sap collection from our maple trees. During our first season, we ran approximately 6400 taps & produced 2000 gallons of maple syrup. We invite you to try our maple syrup & share it with family & friends!